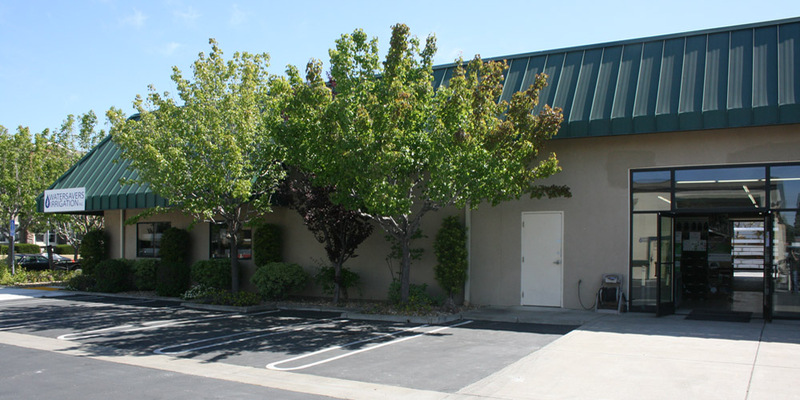 Watersavers Turf located at 6302 Houston Place, Dublin in Alameda County, CA offers high-quality artificial grass. Come visit our fully-stocked artificial grass store in Alameda County and talk to our expert staff about how to boost your yard with faux sod. We also have six other convenient locations in the SF Bay area. No matter where you are, we’ve got what you need to install eco-smart artificial grass near Alameda County and beyond. We have 40+ types of faux lawn plus top-notch tools and products for installation. Come visit us in Dublin. We can give you what you need to join this smart landscape trend in the East Bay! Come visit our store for artificial grass in Dublin. Our expert staff can help you get the eco-friendly yard you want at a price point that works for you. We can answer your questions about our goods or place a special order for any turf items on your list. Find your new lawn as you browse our 40+ types of faux grass. Our turf ranges from luxury sod to pro-caliber sports field, and from padding to glue, we’ve got all the tools you need to install it. We’re a one-stop shop that makes it easy to install artificial grass in Dublin. From basics like infill and gopher wire to techy items like the EasySeam machine to buy or to rent, our turf accessories have got your landscape covered. If you need a local pro to install your new synthetic grass, we can help you find them. If you’re a contractor and want to learn how to install fake sod, we have free in-store classes for you. We’re open 6 days a week, so come talk with us about what you need. If you can’t stop by our Dublin store, give us a call. From our Dublin store, we’re proud to help make yards more eco-smart all across Alameda County. We have made water conservation our job since 1988. Of course, people built homes and businesses in the City of Dublin way before we got here! Check out this info about the history of the area. Maybe the city’s rich past will inspire you to help protect its future with our eco-smart turf that saves local natural resources! The City of Dublin wasn’t always the busy metro area that it is now. It was first Miwok land, and then grew to be a small rural town made of pioneer farms and ranches. Jose Maria Amador put up the first adobe homes and shops built here in the 1830s. He was in the Spanish army and then worked in missions. He came to this area to start a new chapter of his life as the head of a ranch. On his land here, he built small shops where workers made goods like tools and blankets for use on the farm. The town had a growth spurt in the 1850s, when Irish immigrants Michael Murray and Jeremiah Fallon built homes and farms so they could bring their families and friends to town, and put them all to work in the area. It was Murray who named the town Dublin as a nod to the capital city back home! By the 1870s, this farm town was a full city with its own school, church, hotels, and blacksmith. You can see the region’s past come alive at the Heritage Park and Museums. At the 10-acre park, you can see restored buildings, a cemetery, and two free onsite museums. You can even tour an exhibit that’s set up right in the old historic school. The city earned its name as the Crossroads of the Bay Area early on, thanks to the local Alamilla Spring. This fresh water source gave travelers a place to take a break from the road and to rest their horses as they made their way across the state of CA. Water has been a big part of the area’s past, and we hope to make it part of the future here, too. In Alameda County and across the whole of CA, homes and businesses must now try to find ways to use less water due to the drought. Watersavers is proud to be part of this wave of change. Switching from live grass to synthetic turf can save you approx. 55 gallons of water per square foot per year! To join the faux lawn trend, visit us at 6302 Houston Place in Dublin, give us a call (925) 833-7406, or stop by one of our other CA stores.